The first time I tried 99 Levels To Hell was in May of 2012, back when it was still in pre-alpha (and free), and after trying the first beta build, I’m quite surprised at the shere amount of new features and tweaks in general. Highlights from the beta build include an increase in brightness levels, an overtime ghost, a new dungeon and perhaps the biggest feature addition yet: A storyline for the first 3 dungeons (with more to come)! But I haven’t even told you what it’s all about, so grab your favorite beverage and prepare yourself for the tale of The Magician’s journey through the monster-filled depths of Hell. 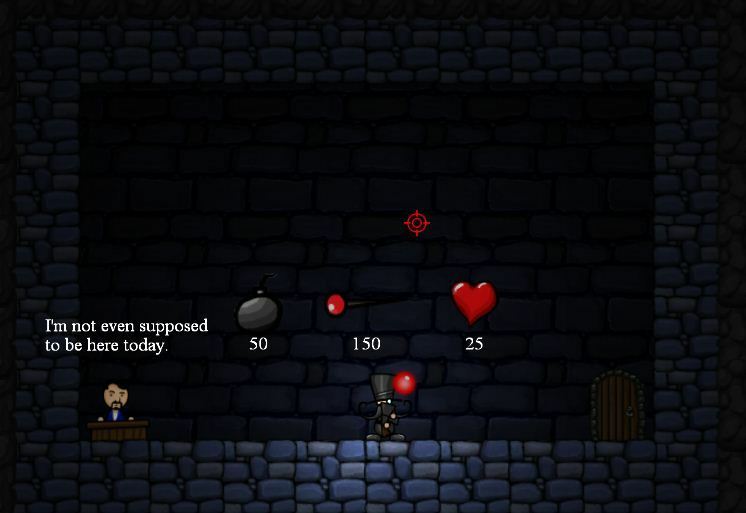 99 Levels To Hell is part roguelike and part dungeon-crawler, and as such it contains features that have long since become synonymous with both genres, including randomly generated levels and permadeath. 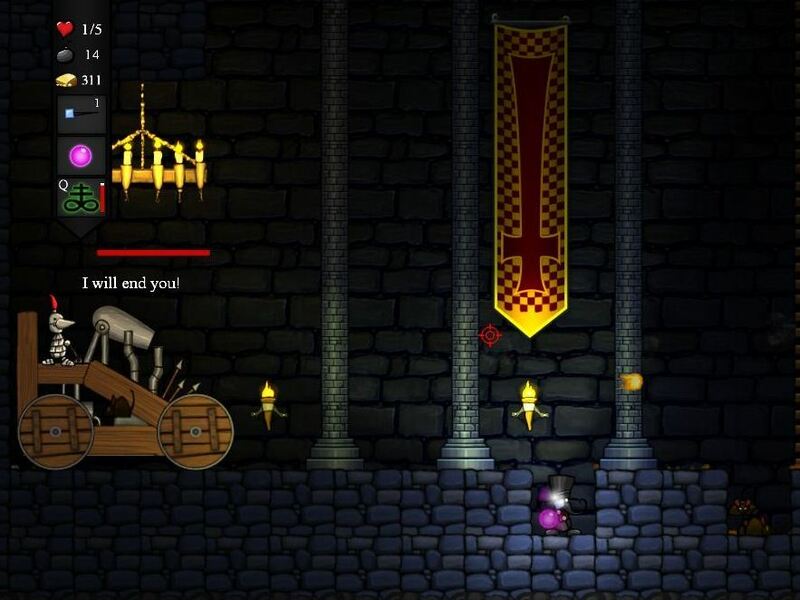 Before you run away screaming after reading “permadeath”, let me ease your worries somewhat with this: You’re not forced to start from level 1 every time you die, because upon beating the boss that takes up every 10 levels, your progress will be saved and you’ll be able to start from the following level (11, 21, 31 etc.) – dying does still cause you to lose everything though, along with having your character’s stats reset. Feel free to do the running and screaming bit now.. In order to ease players into the madness, a brief interactive tutorial that serves as an introduction to the controls is available (and marked clearly with the text “Tutorial” above its entrance). At least this way, your untimely demise – of which there will be plenty – won’t have you go ‘but I didn’t know how to shoot!’ or silly excuses like that; but if you’re anything like me, you’ll be making up plenty excuses for dying, instead of admitting that maybe you made a lethal mistake. That said, there is a way to actually skip levels, by use of elevators that appear in some levels, but where you end up after jumping into one of these is not always a good idea, as I’ve ended up jumping both back and forth in the levels! I have been unable to confirm whether they actually let you skip boss battles (doubtful). Then again, why would you want to skip those? They’re so much fun! Well, some can be a bit tricky.. but still fun. One thing that sets the game apart from a lot of similar titles is that you actually get to shoot those nasty monsters, instead of the typical Swords & Sorcery or Might & Magic melee combat nonsense, though a degree of sorcery/magic does exist in the form of ‘Symbols’. These have to be found first though, and since you’re only able to carry one at a time, there’ll be plenty of ‘do I want this instead of that?’ situations. Unfortunately the choice is made somewhat difficult by the lack of a description beyond a name, meaning that there’s no way to tell what each does prior to picking it up and putting it to use. I’d recommend writing down what each symbol does as you come across new ones, to avoid replacing a useful symbol with something you might not want, in the future. This issue also exists with the guns, although unlike the symbols these things have names that clearly define them, as I’m all but certain no one’s confused about how the ‘BubbleGun’ sets itself apart from the ‘IceStaff’ or the more generic ‘Hunters Rifle’. Just like with symbols, you can only carry one weapon at a time, but at least they can all be upgraded to increase stats like range and damage; oh and they have unlimited ammunition too! Heck, you don’t even have to reload – just pull the trigger and watch your foes fall in a rain of bullets (or bubbles, or ice cubes, or whatever your weapon of choice may use). But enemies aren’t the only thing you’ll be blasting in 99 Levels To Hell, because the only way to open those chests that lie all over the place is to blast them, and this is where you’ll find both gold and, depending on the type of chest, maybe even valuable items like weapons and symbols. In the current version of the game, gold serves two purposes: Shopping and gambling. Shops can be found by going through specific doors in some levels and here you get to pick from a random selection of three items to spend your gold on, which means you always know what you’re getting – not so with the casino’s slot machines, but random is random, after all. 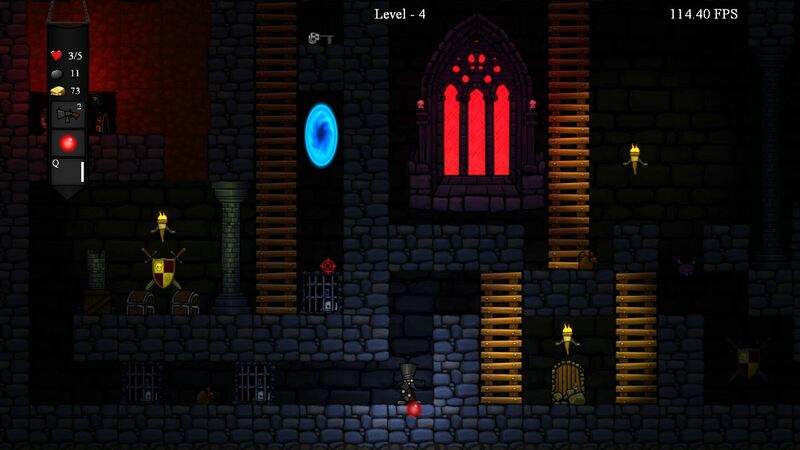 Besides laying waste to enemies and chests alike, there’s also a fair amount of platforming to keep you on your toes. This is not just simple stuff like jumping over gaps or climbing ladders either, with the inclusion of portals (no, you don’t get a portal gun.. their positions are pre-determined) that take you to parts of a level otherwise unreachable. In theory, finishing a level is easy, since your task is to grab a key and reach the exit, while not getting killed in the process. But the game didn’t get its name because of a low difficulty level, as both bats, spiders, rats and plenty other types of enemies would like nothing more than to laugh as they dance on your corpse. 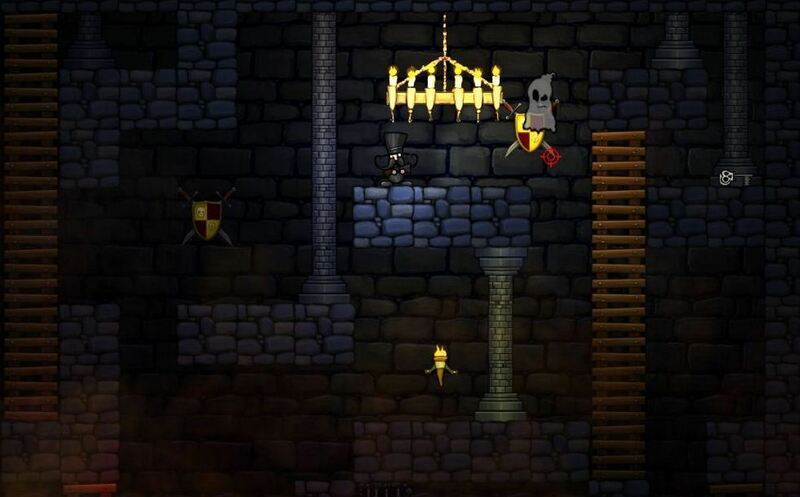 Once you move past the 10th level it gets even worse, because then traps are thrown into the mix, including classics like spikes and sawblades! No one said it would be easy, but it’s definitely not bang-head-against-wall-and-throw-keyboard-across-the-room hard either. It’s just.. a challenge. It does get easier as you learn the ropes though, but even so, I’d advise you to be cautious upon setting foot in a brand new area (every 10 levels), since there’s no way to know what’s lurking in the shadows.. On the other hand, spending too long in a level spawns ghosts that seem rather fond of chasing you, and make no mistake: Their lack of speed does not make them harmless! In fact, now that I think about it, the only place in the game where you’re safe is on the level select screen.. and who knows if you’re even safe there, with all the dangers and hazards each update adds? And.. hey, wait a minute.. a BubbleGun and ghosts that spawn if you spend too long before finishing a level? What’s next, blue and green dragons (get it?) But alas, only those involved with its development, knows what the future holds for 99 Levels To Hell. I do know one thing though: It’s definitely shaping up to be something amazing! 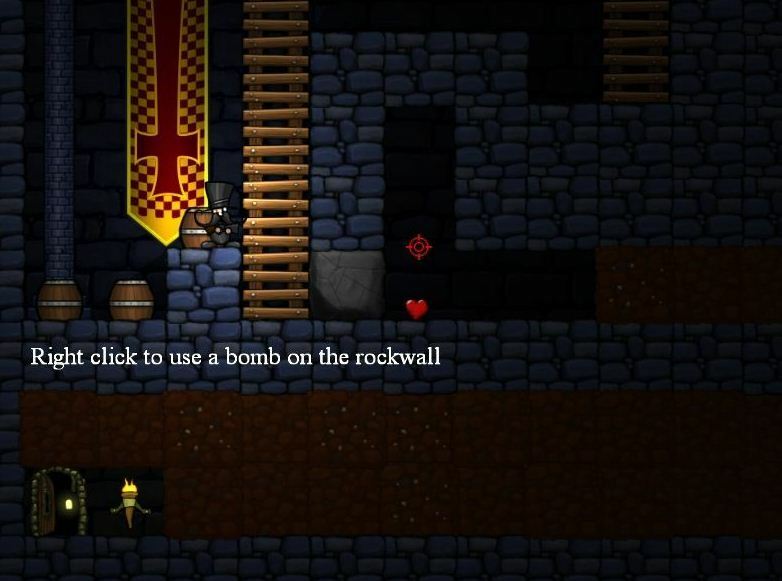 If you feel like testing your mettle in a different kind of roguelike/dungeon-crawler, a demo for Windows and Mac can be downloaded from its Desura page, where the full game is also available for $9.99/€7.99 ($4.99/€3.99 while in alpha, but the beta will be up any day now). The developer will be able to give Steam keys to anyone who’s bought the game on Desura, so be sure to check out its Greenlight page. Official website, Facebook and Twitter (@bom667).